UFO SIGHTINGS DAILY: Face Found On Mars In Curiosity Rover Photo This week, June 2016, UFO Sighting News. 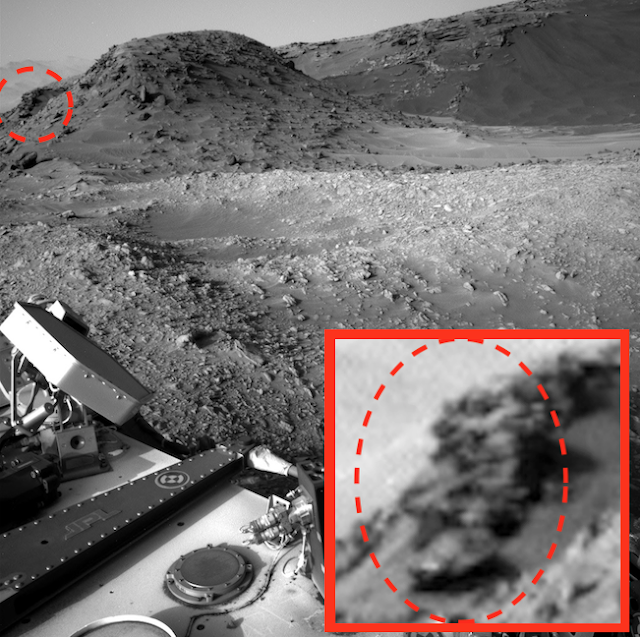 Face Found On Mars In Curiosity Rover Photo This week, June 2016, UFO Sighting News. 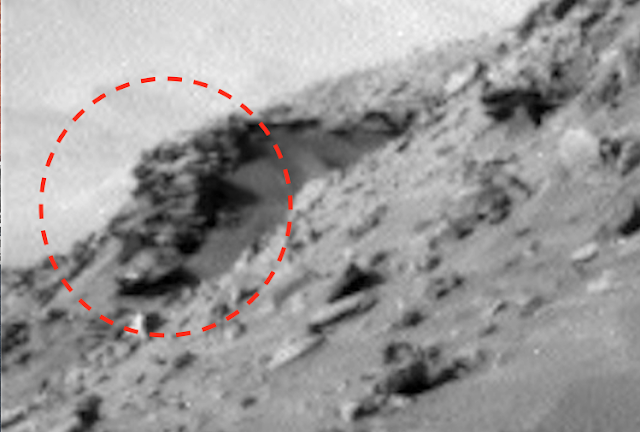 I found this face today on the side of a hill in a recent Curiosity rover photo. 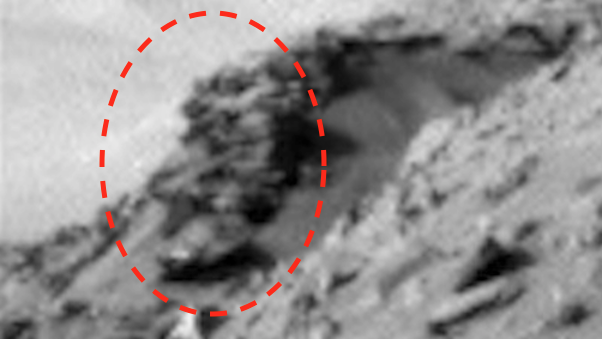 The face does look human, but due to its eroded detail, its difficult to be sure about that. 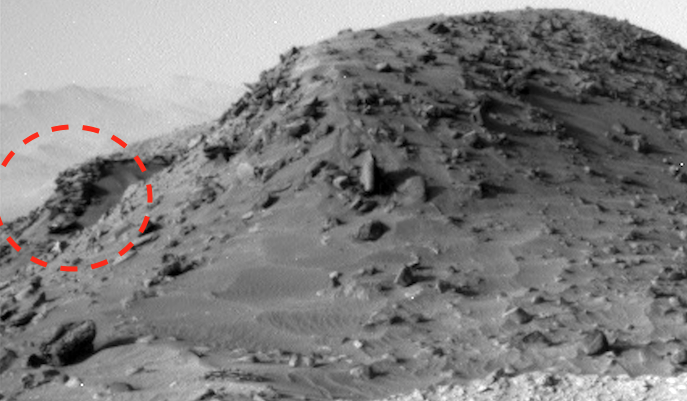 Sometimes its a bit difficult, especially with these black and white photos NASA gives us.